How do Thatched Roofs keep water out? The straw used on a thatched roof is incredibly waterproof; it is laid at a steep angle so rain just rolls off when it hits the thatch. In heavy rainstorms, the rain will penetrate the thatch for approximately 3-5cm (thatch is usually 30-40cm thick). What are the different materials you can thatch with? What are the fire risks with a thatched roof? There are many myths about thatched roofs and fires. A thatched property isn’t more likely to catch fire than a regular house; however, there are more safety measures you must take. Once a thatched roof catches fire, it will spread quickly and is hard to put out as the thatch is waterproof. This can cause a whole cottage to be engulfed in flames and looks pretty terrifying – hence the bad press around thatched homes. Due to the fact, a whole home can be destroyed quickly by a thatch fire, the insurance can tend to be higher. You can find out about all of the safety measures you need to take here on our Thatch Fire Safety page. What if my thatched roof starts leaking? Once your roof starts to leak, you will need urgent repairs whether that is temporary or permanent fix. Get in touch with us as soon as you spot the leak. Why do houses have netting on them? Netting is put over the top of thatched roofs for extra protection against pests and birds. It isn’t a necessity, however, it can be handy to keep your roof tidier for longer. How long will a full re-thatch take to do? It really depends on how large the property is, whether there are any underlying problems and how good the roof conditions are. An average re-thatch will take 6-8 weeks; this will also vary with the amount of Thatchers working on one roof. The unpredictable winter weather also plays a large part in how long a full re-thatch will take. A Re-ridge will normally take 1-2 weeks – again this will vary on how complex the pattern is and whether there are any parts of the roof that needs repairing. Yes, we do! Come rain or shine we will be working to keep the roof over your head safe. The main day we don’t work is Christmas day. Weather is the main factor when we can’t work, for example when severe snow hits and hinders travel. High winds can also be an issue working so high up. How long will my thatched roof last for? How can I become a Thatcher? 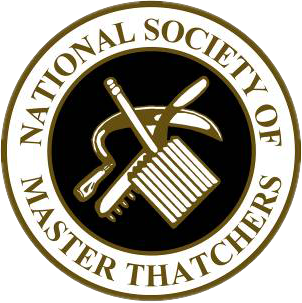 Unfortunately, there are no courses to take to become a Thatcher. However, there are apprenticeships where you earn while you learn. Straw is organic and can rot. However, on a thatched roof, due to the angle of the thatch, only the top layer will penetrate water, this actually runs off quickly and can dry out easily so the likely hood of rot is slim. However, prolonged dampness will break down thatch and cause rot. Make sure your thatched roof isn’t blocked or covers by overhanging trees that will hinder the drying process. Will the thatch make a mess? Yes, thatch can become messy. However, here at Heart of England, ensure your property is kept as clean as possible and we leave your garden and surrounding areas as it was when we arrived. Is thatch vulnerable to strong winds? A thatch roof is an extremely strong form of roofing and when it comes to high winds they are actually stronger than tiles or slate roofs, this is because the reed/straw is attached to the rafters and held down by following courses. Get in touch with us! 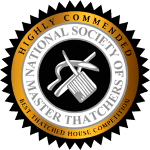 We are happy to provide our thatching knowledge.